Systems and control theory is a subject in which beautiful and deep mathematical theorems have exactly matched the needs of a vital branch of technology. This conjunction of mathematics and engineering has been enric hing for both fields. 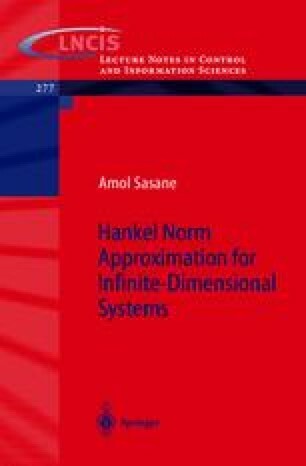 In this book w e present a solution to the sub-optimal Hankel norm approximation problem which has been studied by both mathematicians and engineers. In this c hapter, among other things, we explain the problem and the relev ance of its solution to the important engineering problem of model reduction, in which the aim is to replace a high order (possibly infinite-dimensional) system by a low order model, without undue loss of accuracy. Finally we will give a brief outline of the chapters in this book. But first we give a brief introduction to the history of the problem, based on Young 93.